EBR Motorcycles will debut the new Black Lightning motorcycle on Friday November 18, 2016 at the Long Beach International Motorcycle Show. The Black Lightning is an “accelerated” version of the 1190 platform, designed for superior street performance with improved rider ergonomics, higher torque delivery, and improved performance handling for all rider styles. “When you combine the upright seating with intense acceleration, you have the ultimate all around superbike. 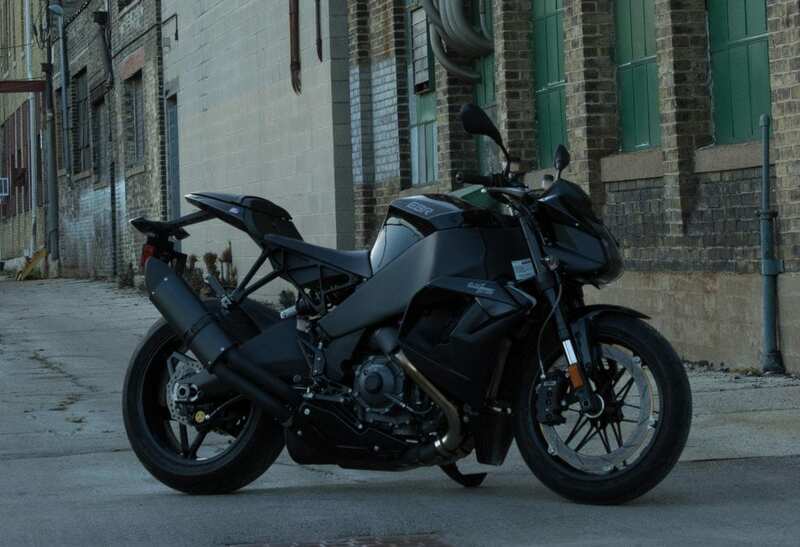 It has striking looks and performance for urban riders, and yet it is comfortable for a long day of riding or sport touring,” said Erik Buell. The Black Lightning retains the quality and performance of the 185HP 1190cc V-Twin found in the SX and RX versions. The revised gearing has improved the torque delivery and acceleration of this power plant, making it more responsive for street riding. A lower seat height, lower foot pegs, higher bars, and an optional comfort seat, create a new riding position for a wider range of performance capabilities at a variety of speeds. Expected delivery is spring of 2017. “With this new model, an improved capital structure, and additional models in development, it is an exciting time at EBR Motorcycles,” said EBR’s CFO, Bill Melvin. For specifics on the Black Lightning and an opportunity to discuss EBR Motorcycles, stop by and visit EBR at booth #737 at the Long Beach Progressive International Motorcycle Show. EBR Motorcycles will present a Facebook Live Presentation of the 1190 Black Lightning on Friday, Nov. 18 at 4 p.m. PST on Facebook.com/ErikBuellRacing.